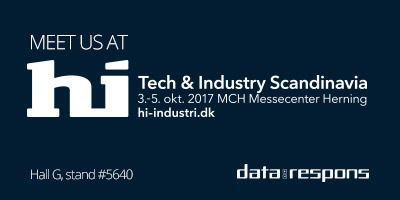 Data Respons is exhibiting at HI Tech & Industry Scandinavia in Herning, Denmark on 3 - 5 October 2017. Come talk to us about your digital transition requirements. We are located in Hall G. at stand #5640. The three day expo and conference, which is held every two years, is the biggest technology and industry expo of its kind in Scandinavia.